Christendom College offers students many opportunities to prepare for careers after college, including the popular “Life on Tap” alumni networking events, the many career planning resources offered by director of career development Kristin Stephens, and the unique curricular for-credit “Education for a Lifetime Program” that ensures that students are well-educated in the most up-to-date aspects of career preparation. But on top of all of this, Christendom’s student employment system offers students first-hand experience to gain valuable skills to put on their resumes. Behind the scenes, over 150 students assist with the day-to-day running of the college, giving them insight into the workings of every department in the college. These departments all hire student workers to assist the full-time staff in keeping Christendom running smoothly. In such positions, students learn about the common applications used for specific tasks, which often comes in handy when applying to certain jobs in the education or non-profit fields. 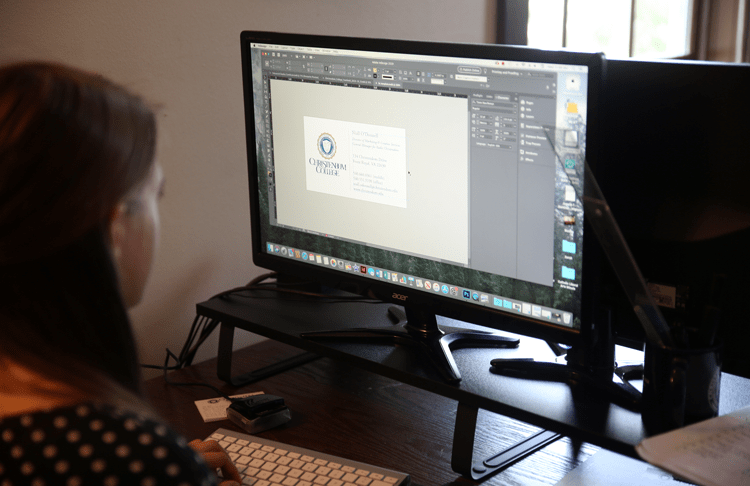 In the advancement office, students work on various projects with the Microsoft Office Suite and call donors. For example, student workers in the advancement office work daily with the Microsoft Office Suite, completing tasks in Excel and Word. Students, like information and data services assistant Joshua Lane, complete projects that contribute directly to the greater mission of the college, impacting donors and potential students. Every hand-addressed envelope or student call is made by a student worker. Witnessing to the mission of the college in this way gives student workers a greater appreciation for Christendom as an institution. Christendom work-study students also contribute to the mission of the college by working in the marketing office as well. A rapidly growing field, marketing presents a great career choice for creative thinkers. Johanna Burke, a senior who works in the marketing office, has found the experience very valuable. Students at Christendom gain access to the skills needed to enter this field by assisting with web design, photography, and copywriting for Christendom’s website and publications. Whether through filming lectures, working with Adobe InDesign, or snapping pictures around campus, these students gain experience to add to their resumes. In the marketing office, students create projects with Adobe InDesign, film events, write stories, take pictures, and more. Experience is the best teacher, as well as the best way to be prepared for life after graduation. The student jobs on campus allow students to get more involved with the college as an institution, while learning critical skills for fast-growing industries. 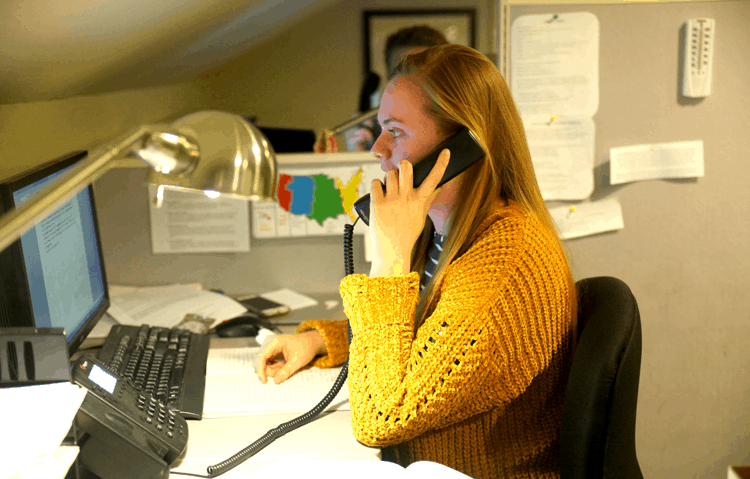 Whether in advancement, marketing, or another critical department, the student workers of Christendom’s administrative departments contribute to the growth and success of the college while gaining great experience for life after graduation. Contributed by Riley Damitz (’20).